We've put together a collection for you. GOG celebrates its 10th birthday today with discounts across the store for classics old and new. We've spent 25 years judging every game that's come across our desks, so we teamed up with GOG to put together a list of top picks. Now here I am to give you a quick round up of top picks from our top picks. We're at the peak of the mountain here. You can get 21 percent off Into the Breach, which we gave a massive 93 in our review. It's near-perfect tactical puzzling that puts you in charge of a squad of mechs. For more quality 2018 mech strategy, try Battletech, which is 30 percent off in the sale this week. The outstanding metroidvania, Hollow Knight, is 34 percent cheaper than normal. We gave that 92 at review. Moreish life and farming sim Stardew Valley is 20 percent off. Check out our top tips before you plant anything. How would you like 75 percent off one of the best RPGs ever? Have Baldur's Gate 2: Enhanced Edition with that exact discount. How about 60 percent off another one of the best RPGs ever? 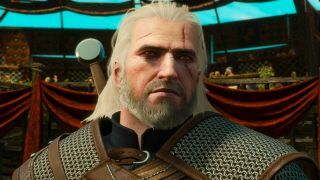 Our Top 100 number one winner 2018 The Witcher 3: Wild Hunt has been swept up in the sale too. Have a look around on GOG.com for more deals as the birthday celebrations progress. There's also a vote happening to decide the anniversary giveaway game. You can vote to choose between Firewatch, Shadow Warrior 2, and SUPERHOT.